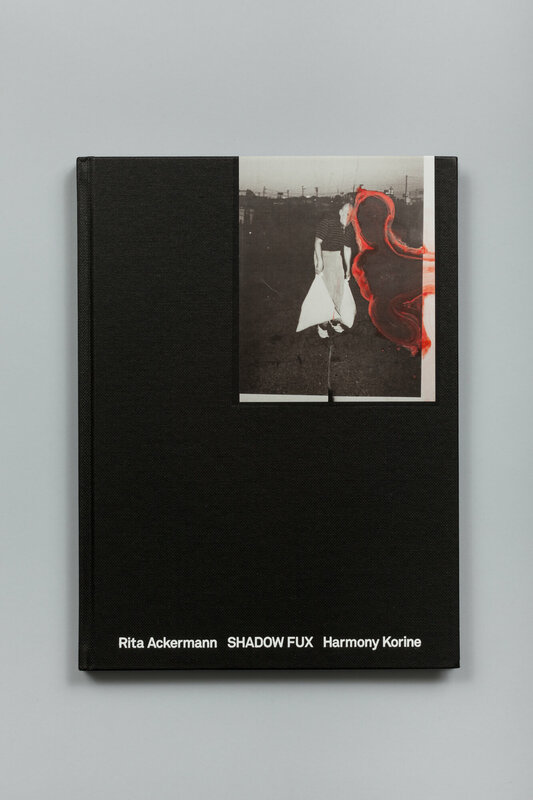 Separately renowned in their respective mediums of film and painting, Harmony Korine and Rita Ackermann meet in their mutual affection for unorthodox, mischievous beauty, and more specifically in the creation of psychologically jarring figures amplified through fragmented narratives. Shadow Fux documents the artists’ first collaboration. Taking Korine’s recent film Trash Humpers (2009) as its point of departure, it features large-scale works in which Ackermann and Korine have collaged, painted and drawn over stills of the film’s beguiling young bodies with old faces. Generated through a call-and-response method, Shadow Fux illustrates the importance of cutting to both artists’ works. Additionally, it presents short texts by Korine, as well as previously unpublished deleted scenes from Trash Humpers. 124 pages, 3 leaf stapled inserts, silkscreened end papers, 29 color, 34 black and white, and 12 duotone illustrations. Published by Swiss Institute / agnès b.